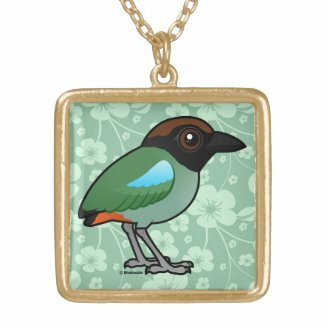 The Hooded Pitta is a passerine that lives in eastern and southeastern Asia. Their habitat is typically forest and woodland or cultivated land (farms and plantations) adjacent to forest. They eat insects, larvae, worms, snails and berries. Both parents contribute to caring for eggs and raising hatchlings. They are widespread in their natural range and have a conservation status of 'least threatened.' 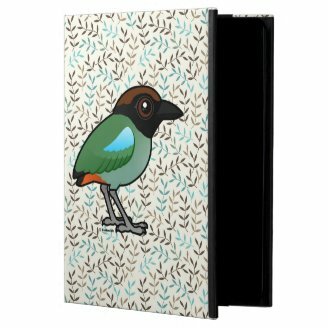 Like most of our Birdorable birds, the Hooded Pitta was added to our collection of bird illustrations after a customer request. From exotic and rare beauties to your favorite backyard birds, we always love to hear customer suggestions. We can't always add a requested bird immediately, but we'll be sure to let you know when your request is added to products. I hope you like our new Birdorable Hooded Pitta! 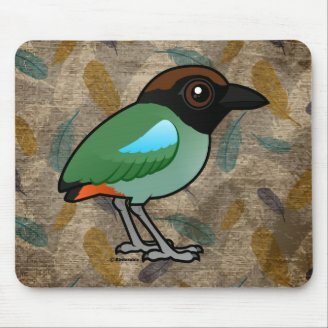 Hooded Pitta Fleece Blanket, 30"x40"